We invite you to take a closer look at the exciting 2007 line-up from Four Winds International. 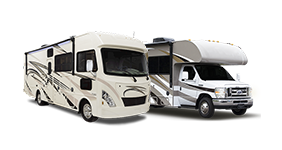 From the first-class style of our Class A motorhomes, contemporary Class C motorhomes, and the all-in-one Fun Mover Sport Recreation Vehicle. It's easy to see that nothing else will measure up. In comfort. In quality. In value.